Because TODAY is National Pig In A Blanket Day! It's National Pig In A Blanket Day!! I kid you not. I couldn't make this up if I tried. IN CELEBRATION of National Pig In A Blanket Day, I'm giving away a promo code for $15 OFF "Passage Home"!! DO ALL FOUR OF THESE THINGS AND I WILL GIVE YOU THE PROMO CODE FOR $15 OFF! 1.) TWEET (copy/paste): If you haven't read #PassageHome by @teresadowelvest, get it NOW at www.PassageHome2019.com! Use Code: EASTER for 15% off until April 26th! Terésa Dowell-Vest﻿ is giving me a copy of her novel, Passage Home, for $1! 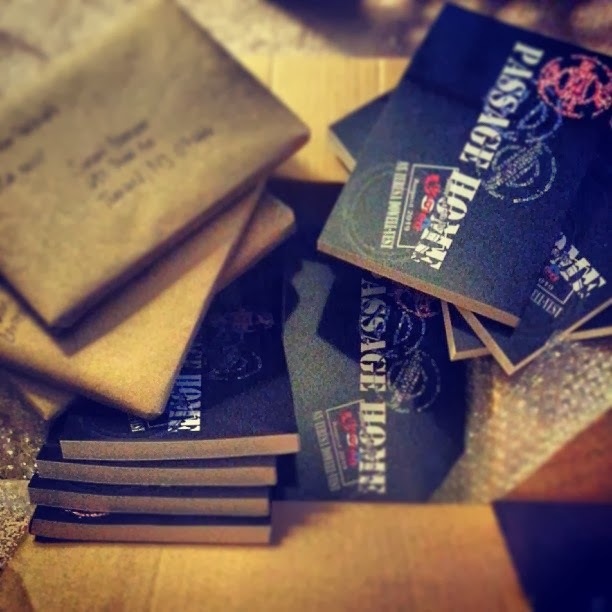 You can get YOUR copy at www.PassageHome2019.com for 15% off if you use the promo code: EASTER (all caps) before April 26th. Passage Home: No Cash. No Blacks. No Immigrants. America...in 2019. If 24 people BUY Passage Home today, I will give the $15 off code to 24 additional people!